This portrait portrays a scholarly-looking gentleman named by an inscription on the reverse as R. Ricardo. Sporting fashionable side-whiskers, he is dressed in an open double-breasted coat over a collared waistcoat and dark stock. 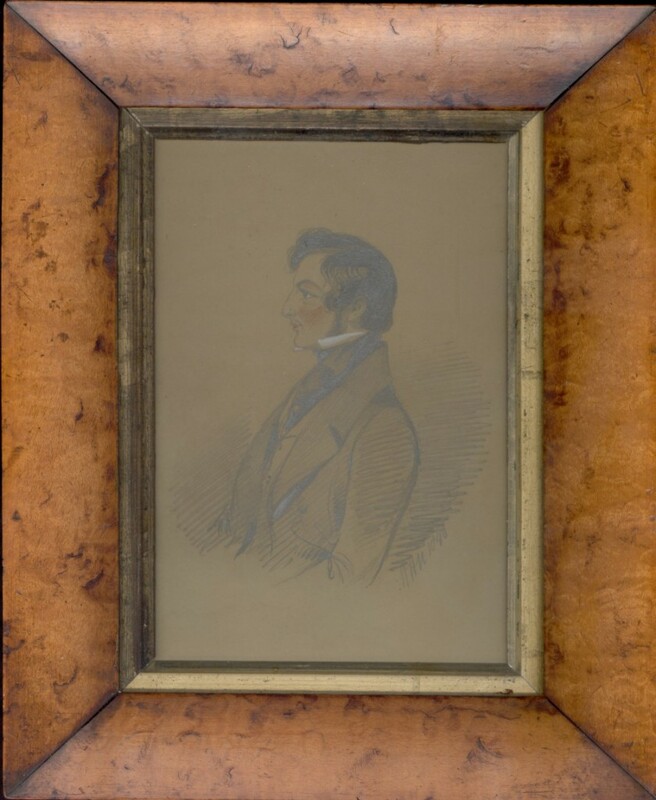 Pencil heightened with watercolour on card, signed with the artist’s initials and dated 1840. The portrait is presented in a handsome bird’s eye maple frame with a gilt slip.